Fine wines, beer, champagne and spirits are sold at Northville Liquors, which was recently purchased by Joban George. The business is located at 301 Litchfield Road (Route 202) in the Northville section of New Milford. Northville Liquors in New Milford is under new management. Joban George purchased the store — 301 Litchfield Road (Route 202), next to The Market, formerly known as the Northville Market — in October. Since then, he has brightened the store’s space and enhanced its offerings. “It’s very inviting when you walk in, and there’s a good flow to walk around and see what they have,” said Patti Garland, of New Milford, who has been a patron for more than 20 years. The store sells a wide range of products, including fine wines, beer, liquors and microbrews. It also offers tastings of some of the store’s products Fridays from 4 to 7 p.m. 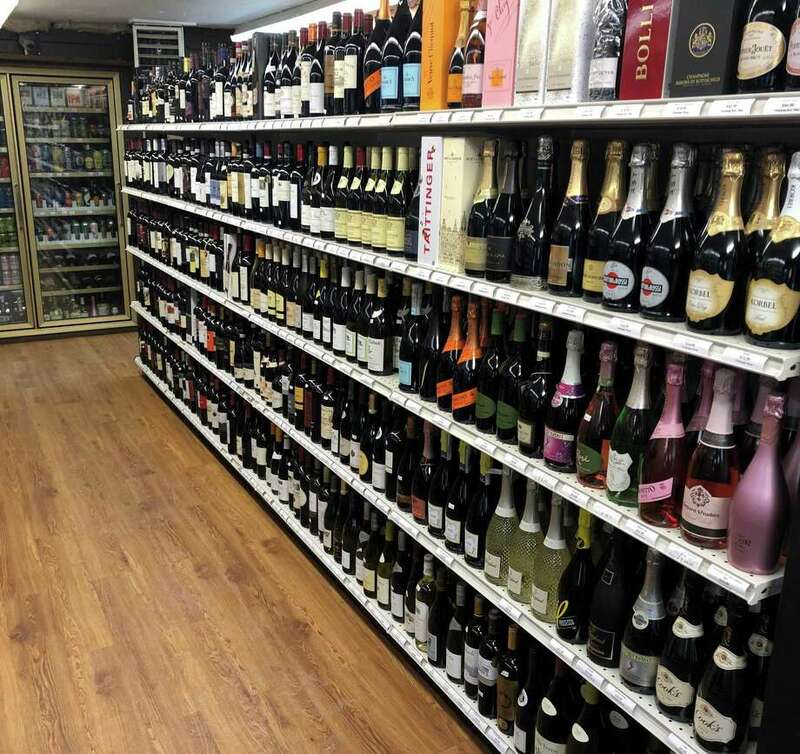 The store carries items for customers with all tastes and budgets, ranging from, for example, inexpensive bottles of wines to fine wines and top shelf liquor. Local and imported wines, high end champagnes, beer and spirits are available for purchase on the new shelves. Several types of bourbons, ryes, whiskeys, vodkas and local beers are featured. “We have a big collection of craft beer,” George said, pointing toward the refrigerators at the back of the store. “And we try to cover everything the customer needs,” the owner said. Garland cited the staff’s knowledge of products, and said she was impressed with the customer service she received on a recent visit. She relayed her interest in finding a wine that, based on their likes and dislikes, both she and her husband would enjoy, and the staff made a recommendation. “It was amazing,” Garland said. “Staff is right there to answer questions and point you in the right direction,” Garland said, summing up her experience at the store. Staff is also ready to help customers who are looking for a particular item not carried in the store or who need to place a bulk order. “We’ll take care of it,” George said of how staff will help customers find exactly what they need. Northville Liquors, located at 301 Litchfield Road (Route 202) in the Northville section of New Milford, is open Mondays through Saturdays from 9 a.m. to 8 p.m. and Sundays from 10 a.m. to 5 p.m. For information, call 860-354-8129.